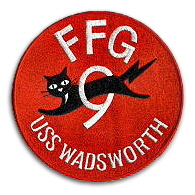 Welcome aboard the USS Wadsworth FFG-9, a home for the shipmates who served in the Wadsworth. We started this site so that you would have a home to visit, meet and find old shipmates... to explore the history of the "Mighty Wads"... and to preserve the honor and memories of those who served aboard the USS Wadsworth. USS Wadsworth.org helps bring to life memories of what was truly one of the finest warships ever to sail the oceans of the world. Decommissioned on Friday, June 28th, 2002, she still sails the high seas today with the Polish Navy, under the name ORP General Tadeusz Kosciuszko 273. 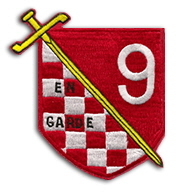 As you explore the pages of this site, you may notice that there is still allot of work to be done. If you have any information, photos, or stories you would like to share, then please drop us a line, and help us build a website that we can all be proud of. USS Wadsworth FFG-9 as she appears today as ORP General Tadeusz Kosciuszko 273 with the Polish Navy. If you’re interested in attending a reunion then please let us know. Our goal is to garner enough interest in a reunion to make this a viable endeavor. Copyright © 2016 USSWadsworth.org - All Rights Reserved.